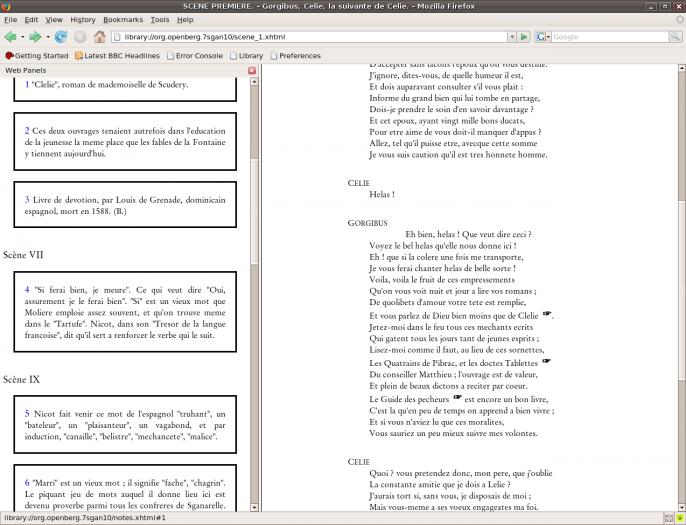 OpenBerg Lector is a free, modern, versatile, open-standard, open-source e-Text reader, designed to operate from within Firefox. Thanks to Lector, you just have to click on a link to an e-Text or e-Book and that book will be opened and readable. Opening unpackaged (.opf) or packaged (.obz) OEBPS publications. Opening zip-compressed collections of files (.cbz), including hundreds of available graphic novels and comic books. Opening rar-compressed collections of files (.cbr), including hundreds of available graphic novels and comic books. Opening Microsoft Reader (r) (.lit) books. Mouse-only or keyboard-only navigation inside a book. Following hyperlinks from books to webpages. Following hyperlinks to books from webpages or other books. If you need more information please contact the developers of OpenBerg Lector (ImYorik), or check out their product website.